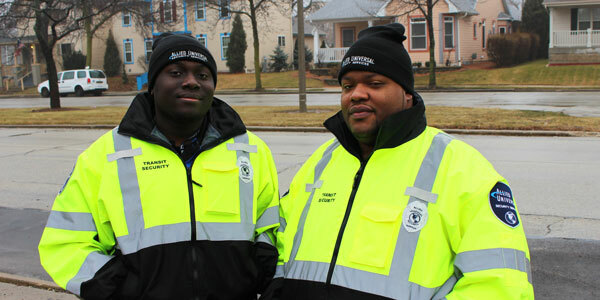 Two MCTS security officers are being called heroes for helping save people from a burning car -- and it was all caught on video. Security Officers Andrew Williams and Jason Knox stopped to help at a car crash near 27th and Wisconsin Ave. A man and woman were trapped in the car, and a fire that started in the engine was quickly spreading. Despite the officers' efforts with the fire extinguisher, the car burst into flames. The security officers and some good samaritans pulled the last victim out just in time. Willams and Knox recevied some much deserved news coverage and praise from the community. Thank you, Andrew & Jason, for serving the community every day.